Kinfolk Magazine, a gorgeous new publication that features the work of some of my favorite bloggers. It’s simple, uncontrived and incredibly beautiful. This popsicle mold. Is that not the most perfect popsicle shape? And this Paletas book to go with it. This pressed leaf ring. Prettiest ring I’ve ever seen. 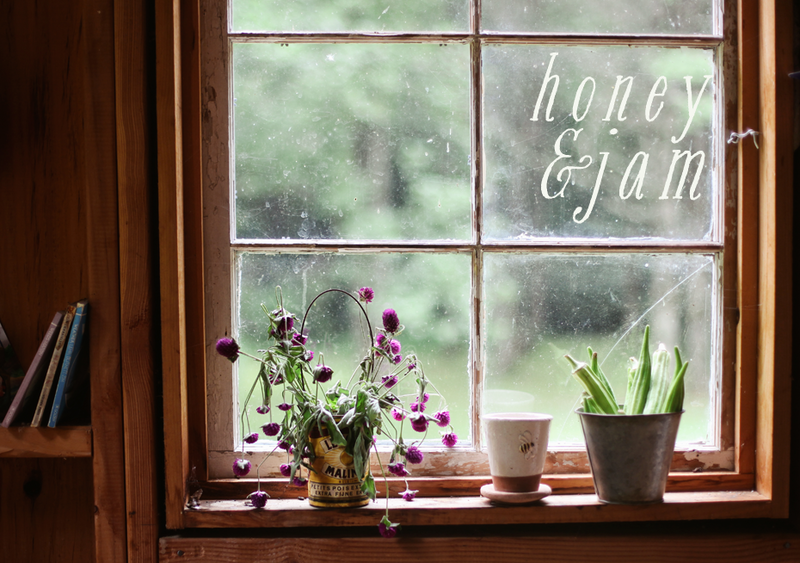 Gorgeous blogs, some new to me, others old favorites. Okra, one of my favorite summer foods. If you cut it into strips, dip it in egg, then in a mixture of breadcrumbs & paprika (and a little salt & pepper), then bake it at 400 for about 15 minutes, you get a delightfully crunchy snack, and a little bit healthier than the normal deep fried preparation. The most perfect tablecloth ever? I think so. So tell me, what’s caught your eye lately? I can't even tell you how much I'm loving Kinfolk. AND I just purchased that very popsicle mold. Agreed: it's classic and the perfect shape. I'm Lisa Warninger's intern right now and she is one of the contributors to Kinfolk. I feel so lucky to be around such talented individuals. 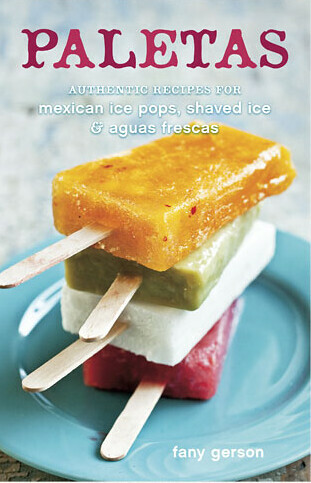 And I have been DYING to get that Paletas book. Perfect summertime treat if you ask me! I've been reading your blog for a bit...each time I come, I never fail to swoon. Food photography is what I hope to specialize it and yours is just stunning. I hope one day I can be half as good as you! And I love Kinfolk. So beautiful. Super-inspired by Kinfolk right now. I'm loving the idea that things don't have to be perfect (regarding entertaining) to be beautiful. I think okra rocks (I grew up in the south, though). 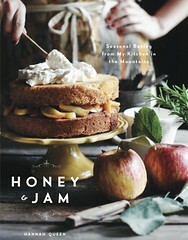 I'm using the book Canning for a New Generation by Liana Krissof for inspiration in preserving summer produce right now. Oh that table cloth is fantastic! I've never had okra before, the jury is out on how I feel about it. I concur..especially the pressed leaf ring. So lovely! Lovely everything! ♥ Thanks so much for telling me about Kinfolk!! Such amazing inspiration. And love that tablecloth! We just got a huge batch of freshly grown okra, so I'll have to try out that recipe. I'm loving that table cloth! Eco friendly textiles are the way to go. I've actually never seen okra before. Maybe because I live in the northeast? Thanks for the lovely new linkage!! Thanks for sharing!!! !This paletas book seems to be so cool!!!! I've had a hankering to make popsicles for a wile now. I think you just tipped it over the edge to a need!! I've never tried okra, but now I really want to try it! And I also have to have that mold. all those things are awesome!! thanks for sharing. Nice selection! The magazine is stunning, and the tablecloth too. ah!! came across the Paletas book the other day in the book store!! first time i had seen it, and now here. i so want to own that one! love kinfolk too!! 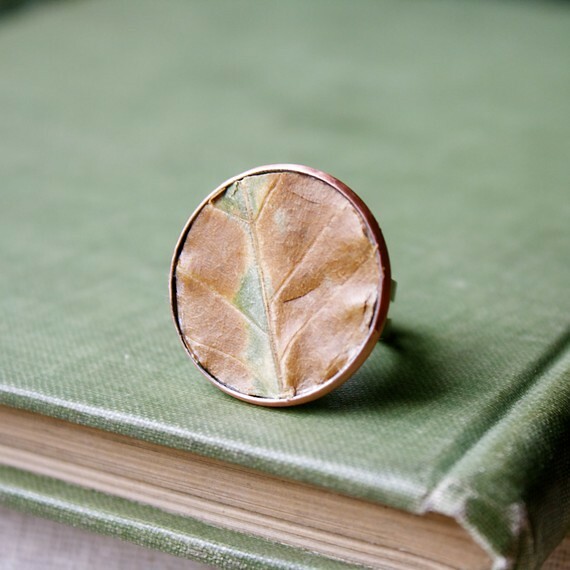 That pressed leaf ring is amazing. You have a very lovely space here. 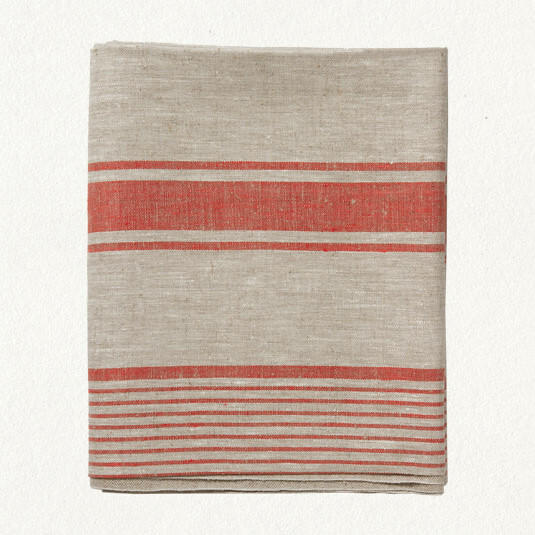 I've also been starting at some kitchen towels (new, not vintage, but they look vintage) over at Martha Pullen. Nice list! I can see myself pouring a nice chocolate milk concoction into that popsicle mould. Glad to know I'm not the only person 'into' tablecloths ..
Can't wait to find the magazine. I love your photographs so I'm figuring if you find the magazine inspiring, I'll love it too. And yes, Great tablecloth! I found your blog through twitter, and i fell in love with your blog! It is so beautiful and inspiring. I am already looking forward to your new post! hi there. hhmmm I also an okra lover ever! but I never tried dipping it in an egg, then in mix it with breadcrumbs & paprika and then bake it?never heard of that even with the recipes I've read from different blogs. Is it delicious? 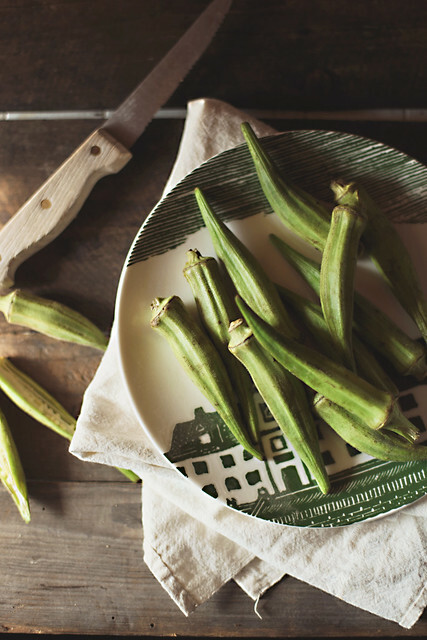 I was not to the okra born (don't think I had it until I hit my thirties, actually), but have grown to love it, small and crisp. Sometimes I fry it Indian style, sliced, salted, and spiced with brown mustard seeds and coriander. YUM! Last week, I tossed it in olive oil and salt, and simply threw it on the grill (in a basket), to brown and blister. So good. This egg-battered oven version is new to me, but it's heading on to my list of summer tastes to try. Thanks! And, as for that table cloth, I just bought an almost identical one plus a runner from LinenMe, a European company. It was expensive, but so beautiful that I felt it worth the splurge. Check it out, I think you'll like the pairing. PS: I absolutely love your blog! So inspiring. Man, I ate so much of the Paletas while working in Mexico a few years ago. They were so good! It was summer time, hot and humid so these somewhat healthy things were a lifesaver! Thanks for the link!!! That ring is beautiful! Ah I want it too! So cute! Wow. Someone just pointed me to your blog and I am in LOVE! The most recent five years have not been thoughtful to the lodging business. Moreover, there have been numerous reports about the land business sector being not doing so great. That was a truly worthwhile read. Please keep updating your blog with more such attention grabbing posts. I liked the way you introduced pictures apt for the content to explain things better. Thanks for such a nice update. Be careful when storing all your jewelry together. The right jewelry box that has separate compartments, hooks and holders to keep the pieces apart is the best choice. Don’t just box all the pieces together in a pile. Not only will your necklaces get all tangled up, you risk damaging all your fragile and fine jewelry pieces.